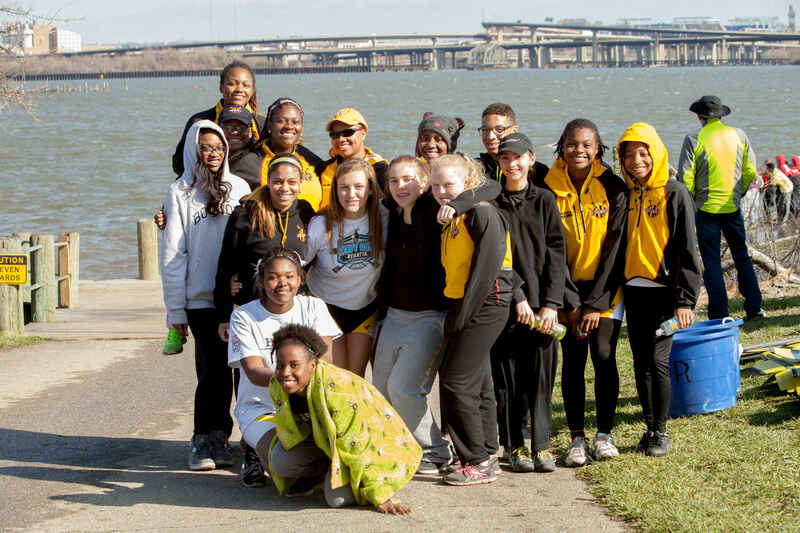 Reach High began in 2011 with a vision to raise up scholar-athletes by provide rowing opportunities to Baltimore City Youth. Since that time Reach High has become the highest achieving scholastic team in Baltimore City (1240 avg. SATs and 4.0 -- weighted -- GPA) as well as the most diverse sports team in Baltimore. In the past two years our rowers have matriculated to Bowdoin, Bowie State, Coast Guard Academy, Colby, Davidson, Drexel, Embry-Riddle, Fordham, Hampton, Hopkins, LaSalle, Maryland, Ohio State, Ohio Wesleyan, Old Dominion, Rutgers, Stetson, Temple, Texas Christian, UCLA, among others on rowing and or academic scholarships, grants and aid. Just as important, rowing instilled discipline, commitment, team work, self-sacrifice and confidence in order to achieve in school and in sports and, eventually, in life. With your help we can continue to provide superb year round coaching, mentoring, training, racing, travel, college visits and guidance as well as paid summer jobs in our outreach camp. Reach High is the junior program at Baltimore Community Rowing. Baltimore Community Rowing is a 501c3 non-profit organization; Fed Tax ID: 52-1187264. All donations are tax deductible. To my mom Christine and Baltimore City students...row row row!